Frontiers North’s Tundra Buggy Lodge is located on Polar Bear Point in the Churchill Wildlife Management Area (CWMA), home to the largest concentration of polar bears in Churchill. The lodge offers a unique, immersive experience where, on a clear night, you can view the dancing northern lights from our roof-top observation deck and fall asleep with polar bears right outside your window. Daily Tundra Buggy® adventures take you out beyond the lodge and give plenty of photography opportunities. Evenings at the lodge can be just as memorable when you swap stories with other guests and enjoy world-class meals. 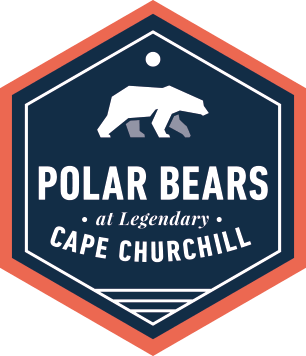 Tundra Buggy Lodge guests have the exclusive opportunity to enjoy evening presentations by Polar Bears International's top researchers and scientists. The Tundra Buggy Lodge offers a unique, immersive experience where guests can fall asleep and wake up with polar bears right outside the window. I flew into Winnipeg today and I am so excited to go to the Tundra Buggy Lodge! My home for the night is the Four Points by Sheraton Hotel, which is just across the street from the Winnipeg airport. After checking in, I head to an evening meet and greet held by our Frontiers North Interpretive Guide where our group has the chance to ask last minute questions and learn more about what our adventure holds! As the light begins to fade, we see the Tundra Buggy Lodge in the distance – it’ almost as if we’re approaching an isolated space station in the middle of nowhere. As we board the Tundra Buggy Lodge the feeling of isolation disappears. The welcoming staff greets us warmly and we are treated to an incredible home cooked meal before settling in to our new home on the tundra. At the end of the day, we return to the Tundra Buggy Lodge in time for a delicious meal and a chance to relax in the lounge getting to know fellow travelers. I wake up early in the morning and peek outside the window. Before my eyes sits a polar bear snoozing on a rock! I spend a few minutes just watching this bear in disbelief. I knew I’d see bears at Tundra Buggy Lodge but I did not think I’d wake up to one outside my window! After snapping a few pictures of the sleeping bear, I grab some breakfast in Dan's Diner before heading out on our second full-day Tundra Buggy excursion. Today we had out in a different direction and quickly come across a mom and two cubs. They cross in front of our Tundra Buggy before disappearing into some willows. We spend the rest of the day scanning the tundra for more polar bears and other wildlife. We are not disappointed. At the end of the day we head back to the lodge for another world-class dinner. Afterwards we get to enjoy a presentation by a Polar Bears International representative about polar bears and Canada’s North. We all head to bed early before our final day on the Tundra Buggy. After a hearty breakfast, our group packs up and sets out via Tundra Buggy for our last day on the tundra. We spend the day getting incredible photographs, enjoying our last Tundra Buggy lunch and just taking in the beauty of the North. 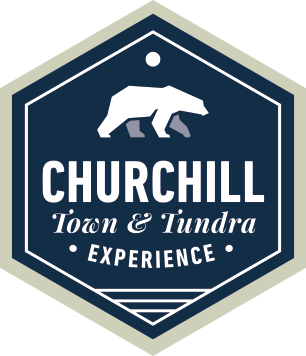 In the late afternoon our Tundra Buggy rolls up to the Tundra Buggy dock area, where we say goodbye to our Tundra Buggy Driver and climb aboard the Frontiers North bus, which takes us back to the Churchill airport for the short flight to Winnipeg. They serve a light meal on board. Once we arrive in Winnipeg, we are checked back into the Four Points by Sheraton Hotel for our last night. My adventure has come to an end and I’m all ready to head home today. I’m so excited to share my adventure – and all my incredible photos - with my family and friends. "Great experience overall. We're so glad we chose to stay at the lodge rather than in town - it was well worth the extra cost. It really encouraged a sense of camaraderie and adventure. The bunks were very comfortable and the staff was great and so was the food. Of course, seeing bears while lying in bed was a real plus too! It was a wonderful way to celebrate my 60th birthday."